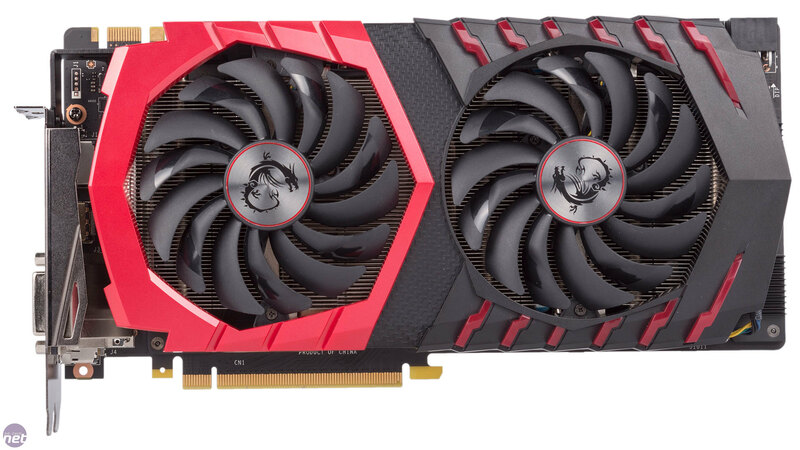 We've already reviewed MSI's Gaming X variant of the GTX 1060 and while it's a very strong card the amount of premium features it chucks at what is still a fairly price-sensitive part makes it something of a tough sell. The GTX 1070, however, is definitely more of a GPU for those with fairly large amounts of cash to chuck at PC hardware. 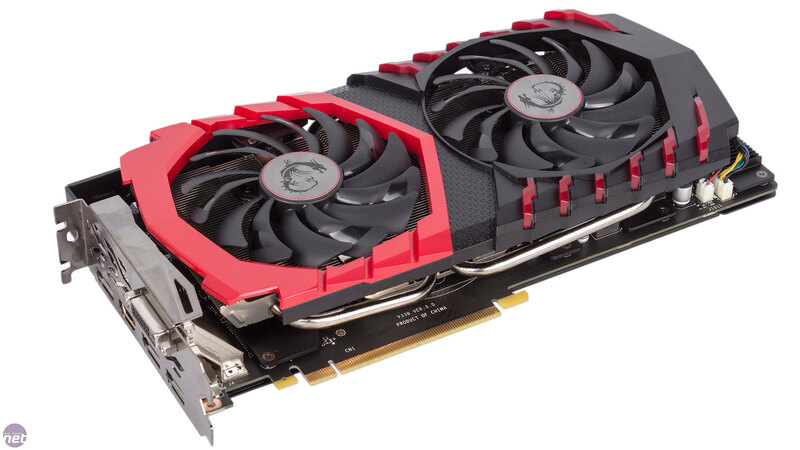 At £430, the GTX 1070 Gaming X is undeniably expensive, commanding an £80 premium over the most standard GTX 1070 cards, but still being some way off the most expensive parts and indeed the GTX 1080. As you would expect, the GTX 1070 Gaming X comes pre-overclocked. In the default Gaming Mode it runs with a base clock of 1,582MHz and a 1,771MHz boost clock, although these are easily increased to 1,607MHz and 1,797MHz respectively by hitting OC Mode in the downloadable Gaming App. This also increases the memory frequency from 8Gbps to 8.1Gbps – a small but still appreciated overclock. As ever, OC Mode is the one we've tested in since it's readily available out of the box. The base clock here is nearly seven percent faster than the reference clock of 1,506MHz, which you can also trigger by setting the card to Silent Mode. 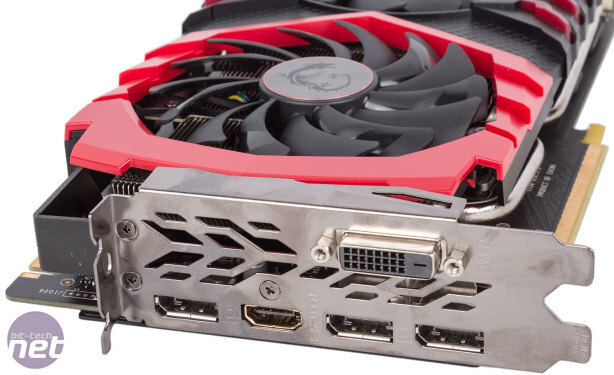 Where MSI hasn't deviated from the reference design is in the display outputs – the three DisplaPort 1.4 connections are joined by one apiece of dual-link DVI-D and HDMI 2.0. 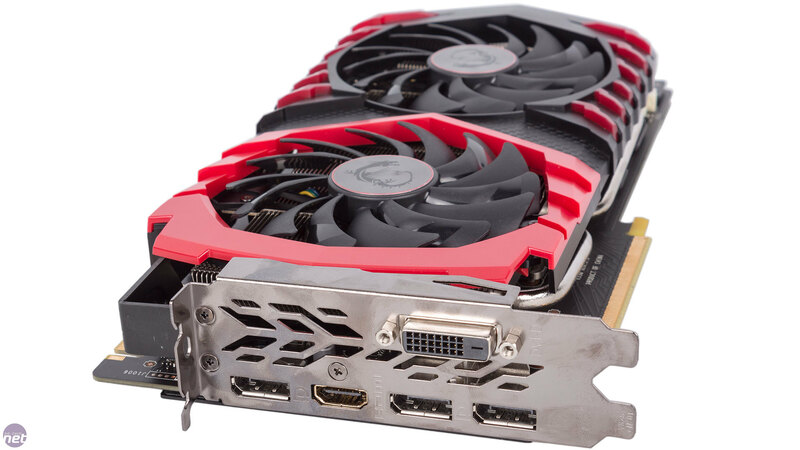 The card's length of 279mm shouldn't be an issue for most cases, although the 140mm height might present difficulties for some small form factor chassis, especially if you're also going to be using one of the High-Bandwidth SLI Bridges. The main reason for that height is the use of MSI's oversized Torx 2.0 fans that span 100mm across. This should mean they're quiet compared to much of the competition since larger fans don't need to spin as fast to move as much air. The fans use an alternate blade design – one to increase airflow and one to direct it downwards – as well double ball bearings. They're also semi-passive (MSI calls this feature Zero Frozr) so they'll be switched off when the GPU is below around 60°C i.e. when idle or under only low load levels. 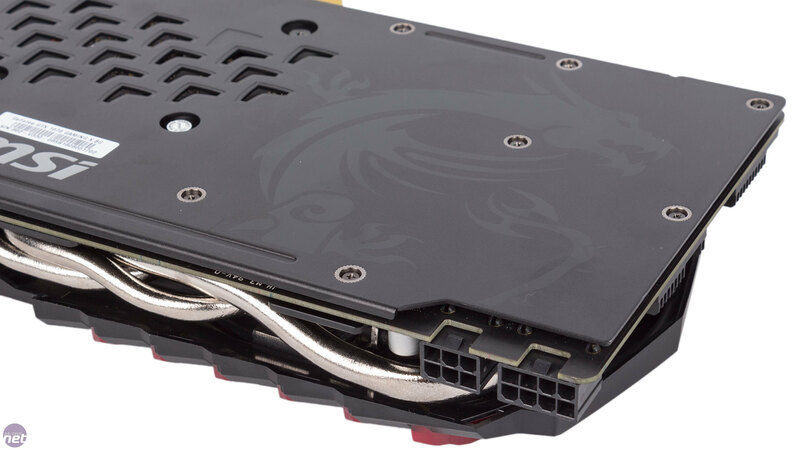 The cooler's shroud is plastic but build quality is nonetheless great and the GTX 1070 Gaming X is sturdy all round, weighing in at over 1kg. Much of this is due to the metal backplate, although there's also a reinforcing anti-bending piece of metal that connects the memory cooling plate to the I/O panel. 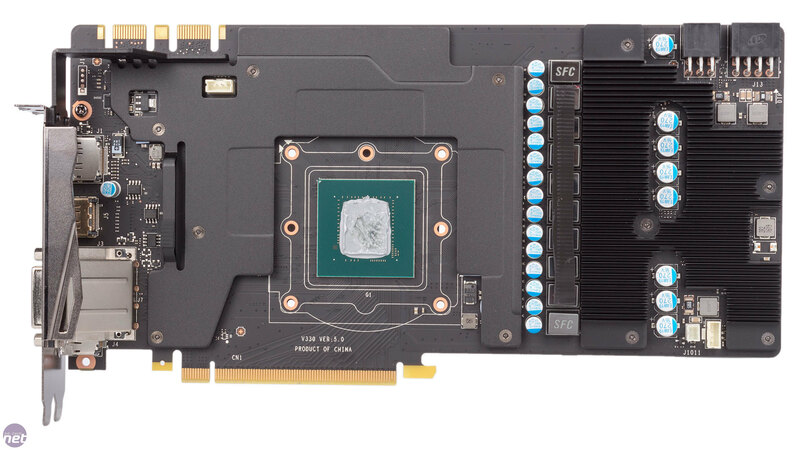 A 6-pin PCI-E connection has been added to the 8-pin one that comes with the reference design, so there'll always be enough juice on tap, even if you want to dabble in overclocking. The connections are mounted to the top edge, so this too will need to be taken into consideration on top of the card's height. 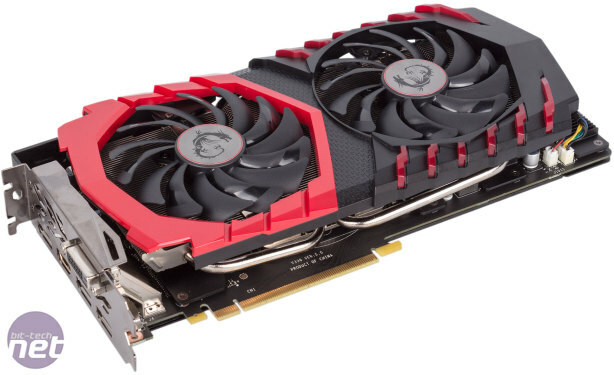 The red and black colour scheme works well, although it does mean that the addition of RGB lighting makes a little less sense than it does on something like the all-black Asus Strix cards, as the potential for colour clashing is greatly increased. We suspect most users will stick with a red or white setting but the option for 16.8 million colours is there if you want it. The MSI dragon logo along the top edge and the red stripes on the front fascia are the RGB backlit parts of the card and they're independently controlled, again through the MSI Gaming App. 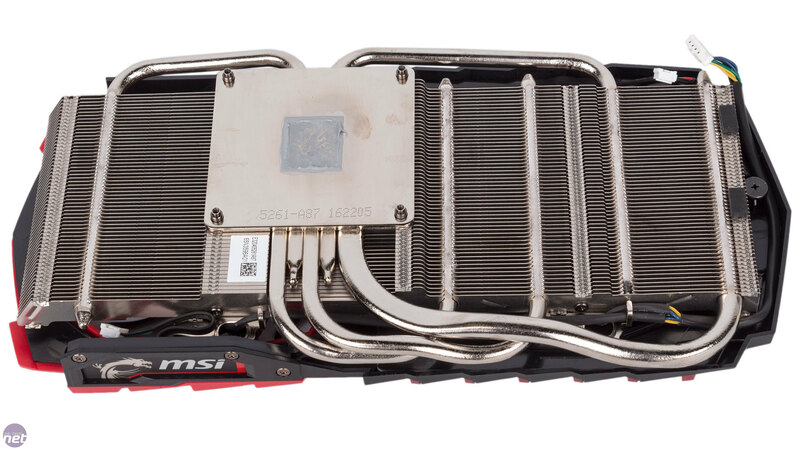 The single main heatsink that cools the GPU is really big, spanning most of the height and length of the card. A large copper base plate acts as a heatspreader, feeding the accumulating heat to five heat pipes which then bend and pass through the numerous aluminium fins. 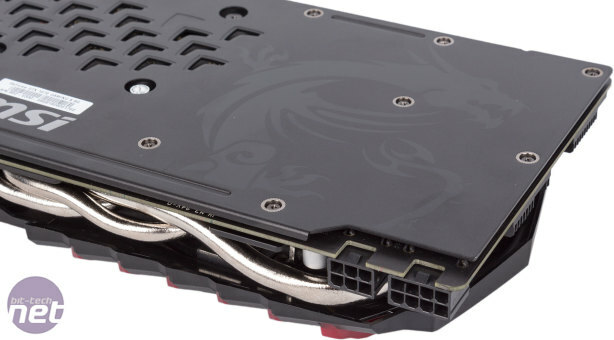 The whole heatsink is nickel-plated, which looks great, and the direction of the fins means that while some air will of course be dumped into your chassis, some will be guided out of the rear I/O panel. 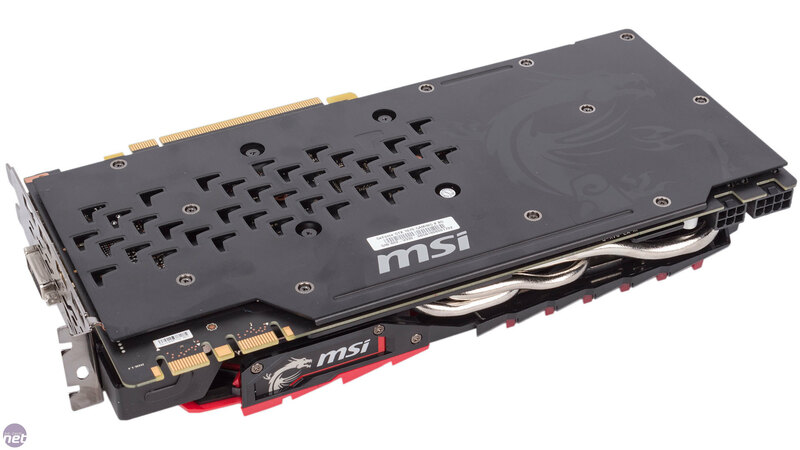 MSI uses its Military Class IV components on the custom PCB here, meaning that the MOSFETs, chokes and capacitors are all considered premium and a cut above 'standard' parts in one way or another, which is said to boost efficiency and overclocking potential. 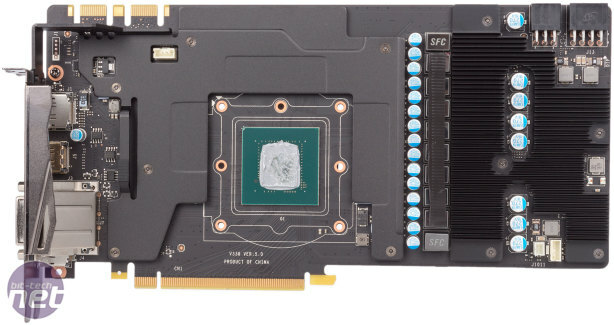 What's also great to see is that all memory chips are actively cooled by a contact plate, and a small, secondary heatsink is used to directly cool the MOSFETs and other PWM components with a thermal strip connecting most of the chokes to the main heatsink too – MSI really is cooling all parts of this card.